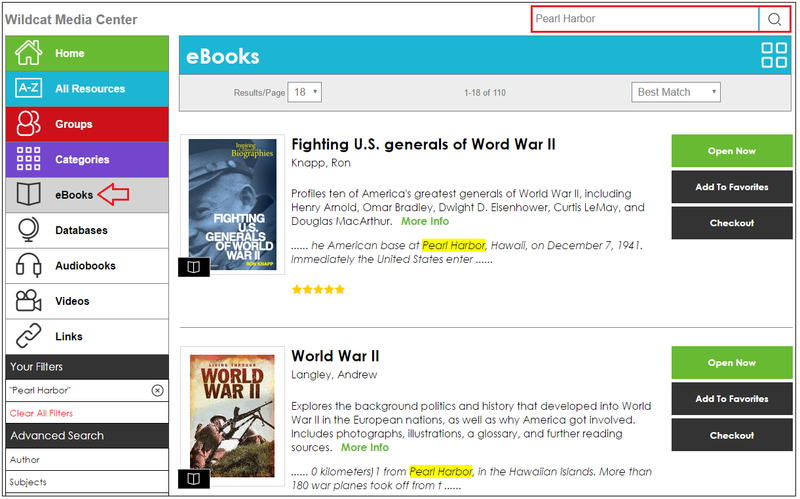 How do I quickly search through eBooks in MackinVIA to find titles on a specific topic? Searching through eBooks is easy with Deep Discovery Search. Select eBooks and type a word or a phrase in the search box. For example: “Pearl Harbor”. Click the search button or press Enter. Our system will search through the text of all Mackin-hosted eBooks in your school’s MackinVIA and return titles that match your search. Click “Open Now” to view the title. 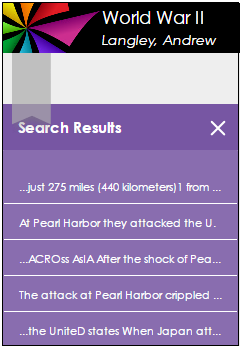 A search for your word or phrase will populate in the eBook once you open it, saving you time from searching again.